Want to learn the secrets that built the world’s greatest businesses? Listening to podcasts is one way to do just that. That’s why we’ve compiled this list of 30 of our favorite business podcasts! These shows will teach you everything from starting up and selling your product to the hidden economics that drives industries. They’ll also keep you up to date on the latest business news and market trends. Soak up the wisdom and enjoy! 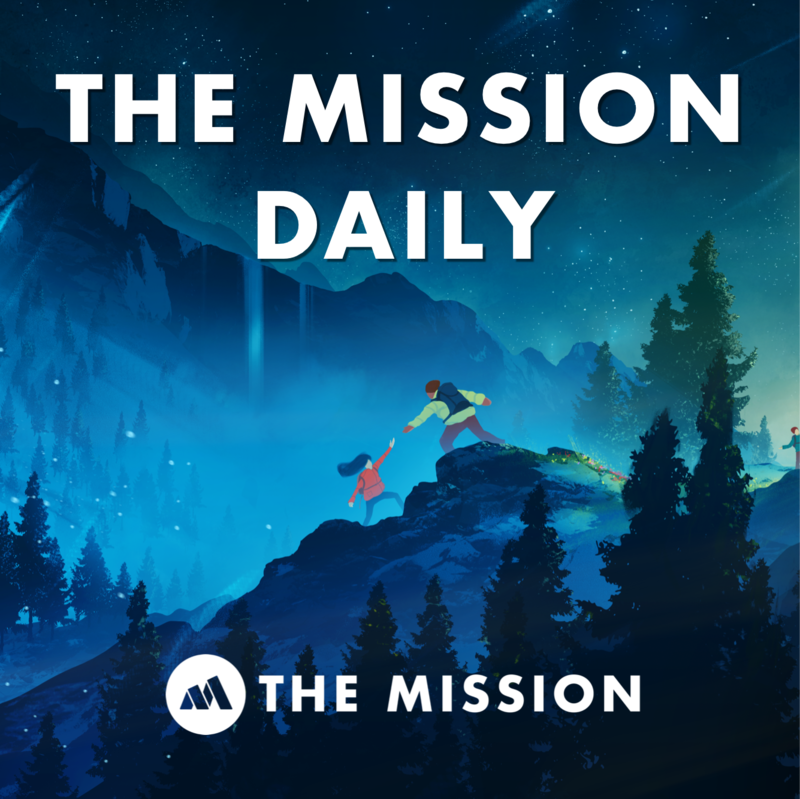 The Mission Daily is a podcast dedicated to accelerated learning and helping you become healthier, wealthier, and wiser. It seems like there have never been more challenges facing humanity. So how can we evolve, escape, and overcome?!? Learn. As fast as we can. That’s what this podcast is here to help you do. Subscribe to The Mission Daily today, and we guarantee that you’ll see positive improvements in your life! For the BIG thinkers out there who are into technology and building a definitely better future for humanity… Anatomy of Next is a must-listen. It’s brought to you by Founders Fund. They are the world-renowned venture capital firm behind investments like SpaceX, Airbnb, and Stemcentrx. With episode topics ranging from Fermi’s Paradox to breakthrough technologies and the people creating them, this show is not to be missed. If it’s probable that intelligent alien life exists, where’s the evidence? In this episode, the Anatomy of Next team explores the worlds beyond our own. The average tenure of the CMO is the shortest in the C-Suite, and it’s getting shorter. Marketing is changing faster than ever and the best marketers are creating new strategies to win in the future. 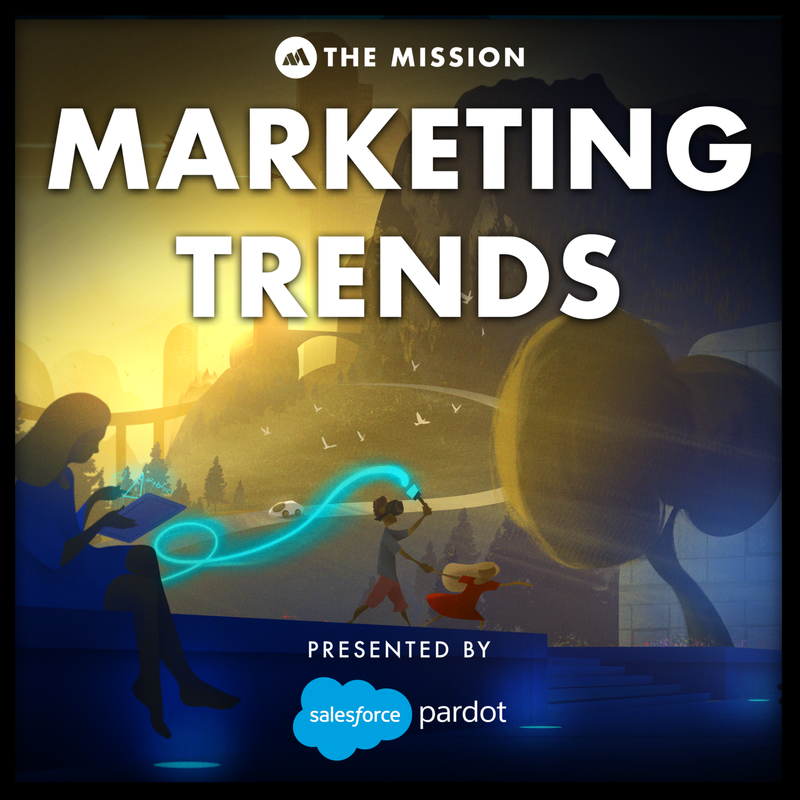 The Marketing Trends podcast is designed to share the best practices from CMOs and marketing leaders on the front lines. If you are a marketer looking to stay at the forefront of innovation, this is the podcast for you. You can subscribe to the Marketing Trends weekly newsletter here. You can subscribe to the podcast on Apple Podcasts, Google Play, or Spotify. “Master the best of what people have already figured out.” Run by one of the smartest blogs on the internet, Farnam Street, this podcast interviews some of the most remarkable people around the globe. Ray Dalio, the founder and owner of one of the biggest and most successful hedge funds of all time, recently wrote an update to his book, Principles. He has used this framework for success for decades and is now sharing it with the world. He spoke to Farnam Street about it over the course of an hour. Radical Transparency is the name of the game, but it’s not for the faint of heart. Joe Rogan, whom you may know from the UFC days and some really gross eating contests on network television a few years back, has a podcast. He goes deep on a variety of topics with some of the most interesting peeps in the world. 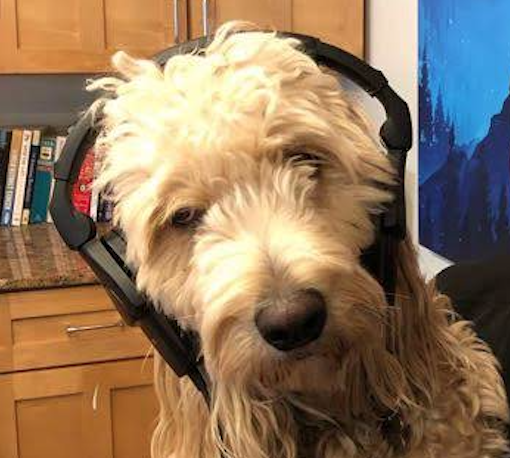 We love the variety of guests that come on his show, which usually result in deep, intellectual conversations that bring our worldview to a new level. In this nearly three-hour episode, Andreas Antonopoulos explains Bitcoin. Please note that this episode is nearly four years old, but the fundamentals of digital currency are still the same. 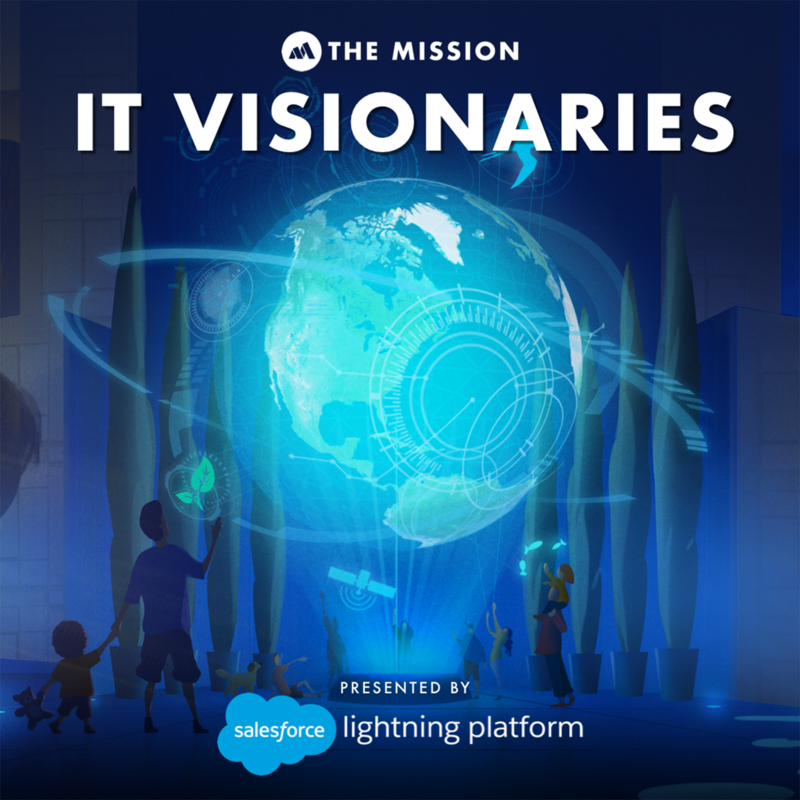 IT Visionaries is your #1 source for actionable insights, lessons learned, and exclusive interviews with trailblazing IT leaders. IT Visionaries is on a mission to discover the technological future at the frontiers of every industry, and then bring that information to you in a way that’s easy to implement. Each episode is packed with value, stories, and trends — all directly from leaders on the frontlines of technological innovation. Seth Godin is a marketing and business genius. His Startup School podcast follows him as he guides 30 young entrepreneurs through the process of starting up. The lessons he teaches to them can easily be generalized out to any new business owner or aspiring entrepreneur. Start here: Freelancer or Entrepreneur? This is the very first episode of the series and, as such, really helps set the stage for the rest of the podcast. In this episode, Seth discusses what it really means to run a business and how strongly marketing correlates with business success. You more than likely already know who James Altucher is, so you can probably imagine why his podcast made this list. He’s been at this whole podcasting thing for a while and truly hasn’t disappointed. He interviews some of the most fascinating — well-known and unknown — people out there. If you are looking for a funny, inspiring, honest, and educational podcast, check out The James Altucher Show. “This is just my opinion, but I argue that what you want to be is not a starving artist… you want to be a thriving artist. That’s somebody who makes money so they can make more art,” Jeff said. But ultimately, it came down to this: asking for money is a way of measuring how people value your art. GaryVee’s podcast episodes are like an adrenaline shot straight to your creative muscles. His show will get you pumped up to work hard, while providing you with valuable business advice in the process. His podcast consists of a mixture of short “rants” and longer interviews, both of which are equally entertaining and worth the listen. A 12-series rant about getting ahead in today’s world. Check out the introduction below. Survive the social media jungle with social media examiner Michael A. Stelzner by your side. Every episode, Michael invites an expert social media marketer, and together, they analyze a specific platform, strategy, or tool that can help you up your social media game. Learn about the different ways live video can be used to upgrade your marketing strategy. The best way to describe this podcast: How college lectures should have been. With lectures from amazing folks like Marc Andreessen, Reid Hoffman, and Peter Thiel, this is a podcast you really don’t want to miss. This is a podcast equally as valuable for an experienced marketer as it is for a blossoming entrepreneur. In short, consumable audio clips, Neil and Eric give you your daily dose of marketing know-how. Having a firm grasp on economics is required in order to be an effective business owner. A team of co-hosts from NPR use fun, 20-minute anecdotes to teach us basic and complex economic topics. Will Harris took over his family’s industrial farm after he graduated from college. Harris was making a profit, just as his dad had. He was also farming just as his dad had: with pesticides in the field, hormone injections for the cattle, and whatever else squeezed more money out of his land. Over time, though, Harris’s worldview changed. He started to see the downside to the industrial farming: his animals weren’t as healthy as they could be. His soil wasn’t as rich as the soil just over the fence, in the forest nearby. He wanted a different kind of farm, one that didn’t depend on chemical fertilizers or man-made interventions. He went organic. He started making changes. To replace the chemical fertilizer, he brought in chickens and let them roam free. Free-range chickens would fertilize the grass; the grass would nurture the cattle, and shoppers at Whole Foods would love Harris’s organic beef. It was a great plan. But then, the eagles started to descend on Harris’s farm. Eagles eat chicken. Eagles love chicken. Today on the show, a farmer tries to live more in harmony with nature — and pays the price. Sophia Amoruso interviews some amazing women that range from CEOs to actors to angel investors. The interviews are always honest, vulnerable conversations that extract solid advice that they have learned on their journeys. As an angel investor and venture capitalist who has invested in companies like Uber, Airbnb, Snapchat, Spotify, and more, Sara has a lot of great insights for all listeners. … then give this one a listen. Being an entrepreneur often times requires you to balance your creative goals with those of your customers. Learn how James Pearse, innovative designer and TV set creator, balances his personal artistic vision with those of his clients — people like Snoop Dogg and Bill Nye. Roy Huff is a man of many interests. He has earned five degrees in four different disciplines, written a best-selling book, is a scientist at The University of Hawaii, teaches, blogs… You name it, Roy’s probably pursued it. In this episode of The Misfit Entrepreneur, learn about Roy’s life, careers, and impressive self-discipline. In Masters of Scale, Reid Hoffman interviews some of the world’s top businessmen and women to figure out “how companies go from zero to a gazillion.” Guests have included legends of business like Eric Schmidt, Sara Blakely, and even Mark Zuckerberg. Chatbots are getting better every day. Here’s how you can use them to up your business’s marketing strategy. Hosted by 17-year-old Casey Adam, Rise of the Young showcases some of the most creative minds of this era and provides you with ideas for how you can transform your life and business. This is a podcast by the Planet Money folks, and just from that descriptor, you already know it’s going to be good. :) The Indicator distills and then quickly delivers the business and economic stories that are important. Learn about the boom and bust of the craft beer industry. Two master learners talking about other master learners. Prepare to feel like a slacker… ;) In this episode, Tim interviews Walter Isaacson, president and CEO of The Aspen Institute and author of many biographies — his most recent being about Leonardo da Vinci. Walter shares little-known information about Leonardo’s personal life and explains his secrets to mastery. They also discuss some of history’s other famous innovators and the tools they used to learn so much so quickly. The main takeaway from the episode: Don’t limit yourself through specialization. Embrace curiosity, seek the answers to many questions, and learn from everything that the world has to offer. Creativity happens at the intersection between different disciplines. Hosted by renowned NPR journalist Guy Raz, How I Built This dives deep into the stories behind how some of the most well-known companies were built. LinkedIn is by far the most well-known job and career networking site. Ever wonder how this monster of a company was built? Learn how Reid Hoffman’s vision for the future of the Internet turned him into one of the wealthiest figures in Silicon Valley and LinkedIn into one of the most useful career tools around. How will future technology transform business and culture? In this podcast, Wall Street Journal reporters evaluate current affairs and try their hand at predicting… well… the future of everything. Start here: Can Food Waste Save the World? Does the food we throw out every day have the potential to do more? Nir Eyal is the best-selling author of Hooked: How to Build Habit Forming Products. (Sidenote: If you haven’t given his a book a read yet, we highly recommend it! :D) In Nir and Far, Nir discusses how design influences customer behavior and analyzes how specific companies build habits. We used to “click and flick,” and now, we just scroll… and scroll… and scroll. Why did companies make the switch, and what is it about scrolling that keeps us hooked longer? Lee Cockerell is the former Executive Vice President of Operations for Walt Disney World, so to say the least, he’s got a lot of valuable insights to share. Lucky for us, he started the Creating Disney Magic podcast to do just that. In this weekly podcast, Lee discusses lessons in leadership, management, and customer service that you can use to create “magic” in your own organization. Most legends started as losers. Learn how awesome people like 4-Star General Stanley McChrystal, businesswoman Ann Muira-Ko, or angel investor Jason Calacanis dug themselves out of defeat to become well-known successes in their respective spaces. Chris Voss is a former FBI negotiator and author of the book Never Split the Difference: Negotiating As If Your Life Depended On It. In this episode, he teaches us how to negotiate with anyone and always win. Bill Caskey and Bryan Neal are B2B sales trainers with 20 years of experience in the biz. In their Advanced Selling Podcast, they share their tricks, tips, and strategies that can grow your personal skills, build long-term relationships with clients, improve your sales team, and much more! Start here: Does Your Story Really Compel Anybody? Bill and Bryan discuss a three part framework that can help you build or rebuild your company’s story so that it is more compelling. This podcast teaches you how to “build practical, everyday practices that help you stay prolific, brilliant and healthy in life and work.” Host Todd Henry, author of The Accidental Creative, interviews artists and business leaders to bring you the best in productivity. Most people plan their expenses using a budget, but do you plan how you spend your time (i.e. your life)? In this episode, Henry shows you a simple method for planning your day, turning you into a productivity powerhouse in just ten minutes. Smart Passive Income is a beloved podcast that shows you how to optimize your online business for passive income. Host Pat Flynn calls it his “Plan B career,” one that he’s been enjoying for seven years and counting. His community of 150,000+ aspiring and existing business owners is the place to be if you want to run a productive online business. Whitney Johnson is a “disruption expert.” In this episode, she teaches you her strategies for disrupting your life and business in order to change for the better. What is your favorite business podcast? Let us know in the comments below!